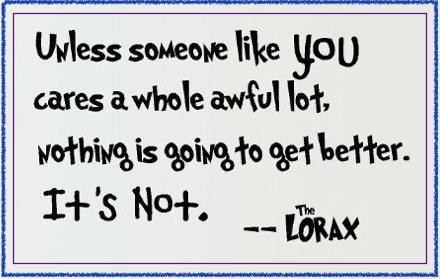 The Lorax said this in reference to Truffula trees in The Lorax. But I think it applies to life. 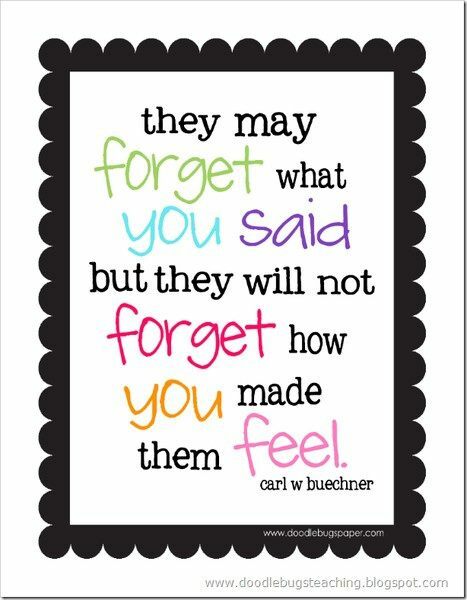 And the importance of "caring" in making things better. Margaret Mead said essentially the same thing - but no rhythm and rhyme. 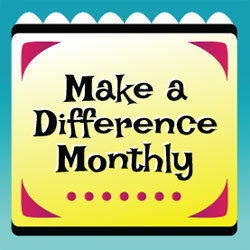 Since my last Make a Difference Monthly post on citizenship, Charlotte Diamond's song Make the World Just a Little BIt Better has been rolling around in my head. Caring is often defined as the "golden rule" - treating others the way that you would like to be treated - with a bit, or a lot, of tlc. Books are always a great springboard for discussing how we should treat others. 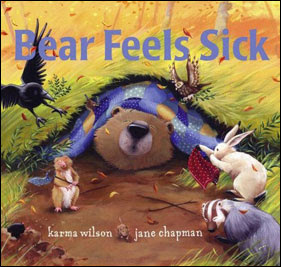 In the Bear series by Karma Wilson, Bear and his friends show a lot of care for each other, especially when Bear gets sick. Poor Bear gets all snuffly and achey. 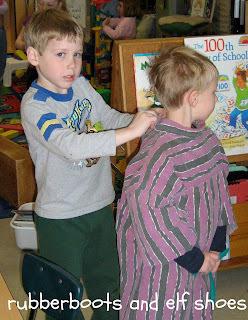 His friends rally round and care for him, until they too feel sick. And then Bear takes care of them. It naturally leads to a discussion of how the kidlets can help their friends who feel sick, or how to care for someone who gets hurt. 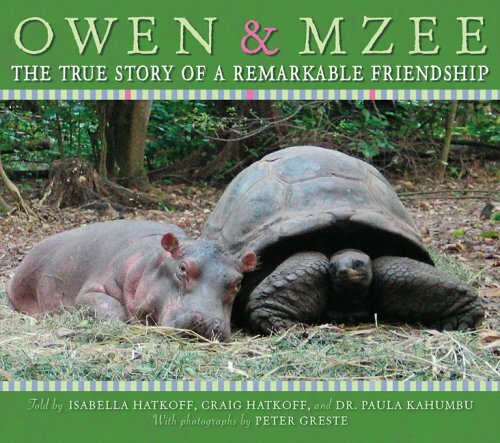 The relationship between Mzee, the 130 year old tortoise and the orphaned baby hippo, Owen, is a true story of caring. 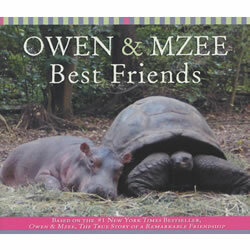 After being stranded by the 2004 tsunami, Owen was found dehydrated and was taken to a wildlife refuge in Kenya. There, he and Mzee formed an unusual bond of caring. There is a fabulous website with lots of photos, and great activities. 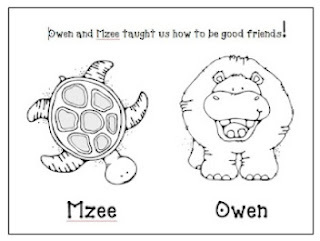 Annie at Kindergarten at Heart suggest putting kidlets in groups of two to colour this picture after reading the story to the class. Click on the graphic to go to her post. My favourite "do unto others" book is Do Unto Otters, written and illustrated by Laurie Keller. There is a cute website that accompanies the book, and Scholastic/Weston Woods has created a film based on the book. Check out the trailer. and they see me caring for others. My actions have to speak way louder than any words that I say or read. The way that I can make my world "a little bit better", they way that I can change my small bit of the world, and the way that I can pay it forward, is to care for the kidlets who I get to share with their families for a year. I am linked with Maria Dismody from Make a Difference. Love this post! I have a book called Cranky Bear that also shows how one caring person...okay animal...can make a big difference. This is great, Sandi! 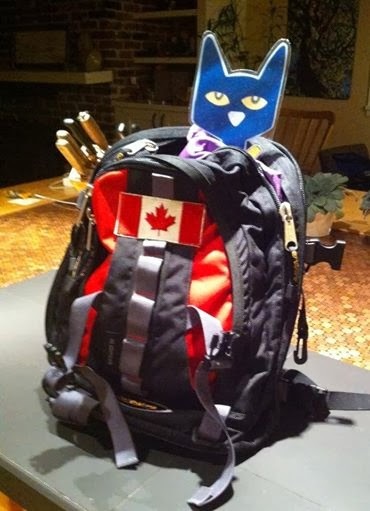 I am on the hunt for books that will help me the first weeks of school with talking about citizenship and building a classroom community and these will be great additions. And the quotes are perfect as well, I had been wanting to create some posters to decorate the room with. No Time for Flash Cards made a list of books that build character - it's a great list and worth checking out. Once I get back in the classroom (next year :( ) I want to teach my kiddies this song. I started to think of Earth Day , but I love the theme of caring and starting from Day 1. Thank you for sharing. 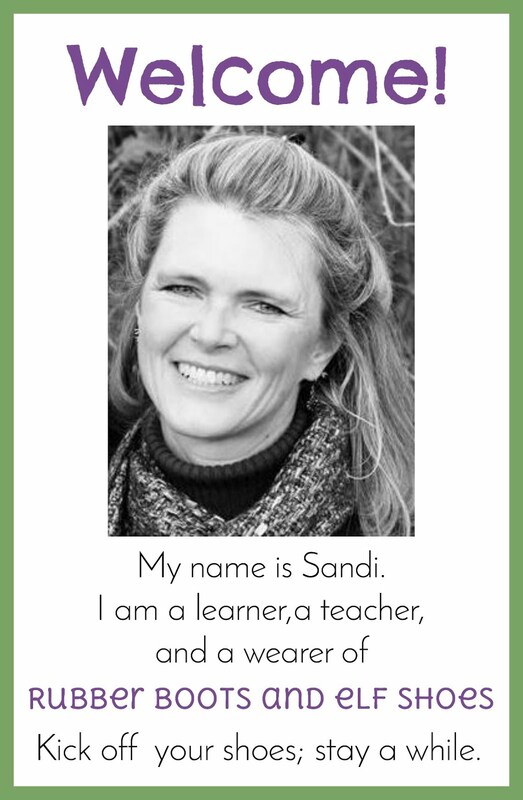 Love your post, Sandi. Your classroom sounds like a wonderful place to be. This is a wonderful theme to begin a school year with. 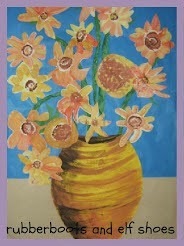 www.librarything.com is a great site to find books about character including caring. I love the Karma Wilson series and also Mem Fox has some great titles. I am inspired to revisit my September books. Thanks, Sandi. I will have to check out librarything - thanks, Liz. I am a Karma Wilson fan too - love all her Bear series. And of course Mem Fox. Do Unto Otters is one of our FAVES! Stinkin' cute!! 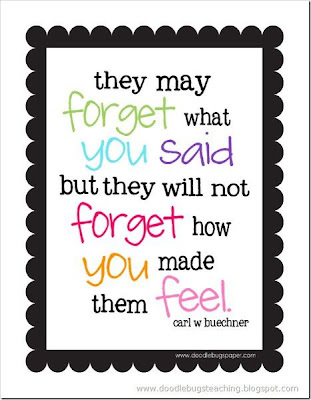 Thanks for all of the wonderful ideas to teach character; I've pinned your Maya Angelou quote. Do Unto Otters is great. I love reading it with a small group of kidlets and watching their faces when they get some of the humour. Priceless.